There are moments as a parent that just make you smile. Tonight was one of them. I don't know how many of you have daughters just shy of 2 years apart. If you do, you know they can be best of friends one minute, and the next? Lets just say there are tears, yelling, and the end of the world in the next minute. Today was one of thosers days, and then I walk into the kitchen and there they are....together, smiling, and working together to make dinner. Maybe it was because it is one of our families favorite meals, but tonight simple tomato soup and grilled ham and cheese brought the girls together, and warmed my heart. My sister and I are about that close in age and boy did we have some spectacular arguments growing up. 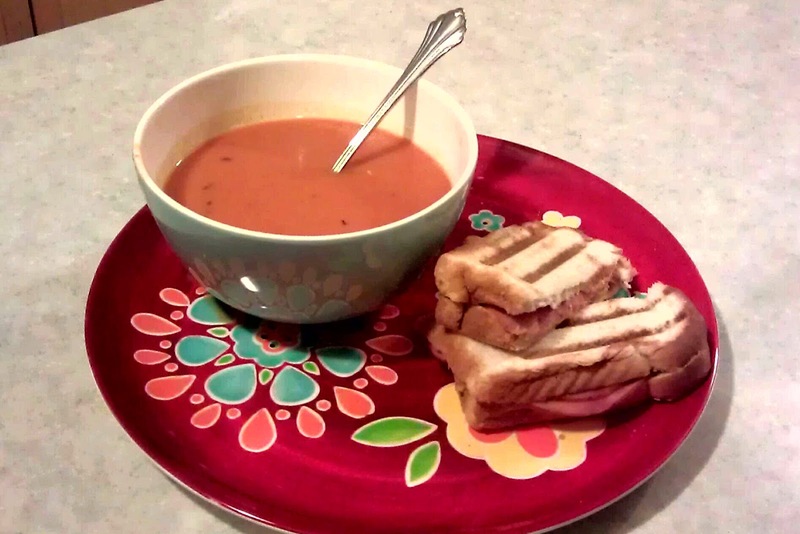 I love grilled cheese and soup, still my comfort food. Say HI to them for me.